Video: Chicago thugs violently assault innocent man. Then he pulls out gun and scares them away. He never pulled the trigger. The video below shows an incident that just happened in Chicago. Some violent thugs start brutally beating an innocent man. Then he pulls out a gun and scares them away. He never pulled the trigger. I challenge any anti-gun person to explain why this man was wrong to do what he did. 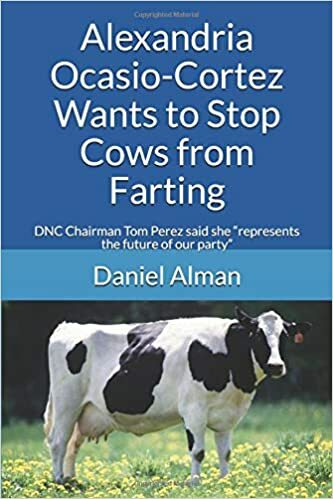 April 9, 2019. Tags: Guns, Politics, Self defense. Guns. 1 comment. PITTSBURGH — Jewish doctors and nurses at Allegheny General Hospital in Pittsburgh put their personal feelings aside to help save the life of the man who allegedly claimed he wanted to “kill all the Jews” as he opened fire at a synagogue and murdered 11 worshipers. Robert Bowers, 46, was shot multiple times himself and taken to AGH. In addition to killing eight men and three women, he wounded six other people, including four police officers, before surrendering Saturday. Cohen was one of the first people on the scene. He lives in the neighborhood and heard gunfire from his house. “I was standing there…and you could start hearing very quickly what was going on,” he said. Just like the first responders who rushed into danger, Cohen credits his doctors, nurses and staff for stepping up. “We are here to take care of sick people. We’re not here to judge you. We’re not here to ask ‘Do you have insurance or do you not have insurance?’ We’re here to take care of people who need our help,” he said. Cohen says he and Bowers had a brief conversation at the hospital. “When I stopped in, I asked him how he was doing. Was he in pain? And he said, ‘No. He was fine,’” Cohen said. Cohen says Bowers then asked him who he was. Bowers was discharged from the hospital Monday morning and arrived at the federal courthouse in downtown Pittsburgh around noon. He faces 11 counts of criminal homicide, six counts of aggravated assault and 13 counts of ethnic intimidation in addition to federal counts that include weapons offenses and hate crime charges. Federal prosecutors are expected to seek the death penalty against him. October 30, 2018. Tags: Jews, Judaism, Kindness, Pittsburgh, Religion, shooting, Squirrel Hill, Synagogue, Tree of Life, Violent crime. Guns, Health care, Kindness, Pittsburgh, Religion, Squirrel Hill, Violent crime. Leave a comment. On the same day that a scumbag shot and killed 11 innocent people at a synagogue in Squirrel Hill, in Pittsburgh, Pennsylvania, a different scumbag tried to carry out a mass shooting at a McDonald’s in Birmingham, Alabama. But he was stopped by a good guy with a gun. The only person who died was the bad guy. In January 2015 in France, in response to cartoons that made fun of the Islamic prophet Mohammed, Islamic terrorists shot and killed 12 people. The police who were sent to stop them were unable to do so, because the police were unarmed. France’s extensive gun control laws did not stop the bad guys from getting guns. But the country’s extreme anti-gun mentality did prevent the police – the police of all people – from having guns. Four months later, Islamic terrorists tried to carry out a mass shooting at a draw Mohammed cartoon contest in Texas. However, law abiding gun owners stopped the terrorists. The only people who got killed were the terrorists. When Barack Obama was an Illinois state Senator, he voted against allowing people in their own homes to use guns to protect themselves and their families from rapists and murderers. However, as President, Obama allowed one of his Secret Service agents to shoot an armed man who was outside the White House. Meanwhile, even the most anti-gun liberals have not called for Obama to be prosecuted for being an accessory to the murder of U.S. Border Patrol agent Brian Terry. Likewise, even the most anti-gun liberals have not called for an end to armed Secret Service agents protecting ex-President Obama 24 hours a day. Why are some liberals against self defense? And why do these liberals who oppose self defense make an exception when the person being protected is a liberal politician? October 29, 2018. Tags: Barack Obama, Guns, Islamic terrorism, Obama, Pittsburgh, Politics, shooting, Squirrel Hill, Synagogue, Tree of Life, Violent crime. Barack Obama, Guns, Islamic terrorism, Pittsburgh, Squirrel Hill, Violent crime. 3 comments. This morning, when I was in my apartment (which does not face the street) and I heard a very long succession of sirens from emergency vehicles going by, I suspected that something really horrible had happened, and the only possibility that entered my mind was either a bombing or a mass shooting at one of the nearby synagogues. With large crowds of people, including large numbers of women and children, all together in an enclosed space, I’d thought for years that something like this could happen. But I never thought it would happen. They still haven’t published the victims’ names, pending notification of their families. I’m 47, and I’ve lived in Squirrel Hill my entire life. I’m hoping for at least another 47 years in this neighborhood. It’s too bad some scumbag deprived at least 11 of my neighbors from living out their lives. I don’t understand why anyone would do this. October 27, 2018. Tags: Anti-Semitism, Antisemitism, Guns, Jews, Judaism, mass shooting, Murder, Or L'Simcha, Pittsburgh, Religion, Robert Bowers, shooting, Squirrel Hill, Synagogue, Tree of Life, Violent crime. Guns, Pittsburgh, Religion, Squirrel Hill, Violent crime. Leave a comment. U.S. Border Patrol agent Brian Terry was murdered with one of these guns. The murderer was sentenced to 30 years in prison, but his accomplices, Barack Obama and Eric Holder, haven’t even been arrested or charged. In May 2016, it was reported that newly released documents from the Department of Justice suggested that guns from Obama’s Fast And Furious program had been linked to at least 69 killings by Mexican drug cartels. In September 2012, Obama said that Fast and Furious had “begun under the previous administration.” In reality, Fast and Furious began in October 2009. Secondly, many of the guns used in Bush’s program contained radio tracking devices, whereas most of the guns used in Obama’s program did not. In addition, under Bush’s program, U.S. federal agents followed the guns to see whose hands they ended up in, whereas with Obama’s program, U.S. federal agents were ordered not to do this. Third, Bush’s program did not cause any known deaths, whereas Obama’s program did. In April 2016, it was reported that the Department of Justice had illegally ignored a court order to turn over certain Fast and Furious documents. In October 2013, the ACLU announced that it would be defending John Dodson’s first amendment right to free speech, against the Obama administration, which was trying to prevent Dodson from publishing a book about Obama’s Fast and Furious scandal. Obama illegally ignored Judicial Watch’s Freedom of Information requests regarding Fast and Furious. U.S. Attorney General Eric Holder illegally refused to release 1,300 pages of information on Operation Fast and Furious, even after he had been subpoenaed to do so. Afterward, CBS made it harder and harder for Attkisson to do reports on Fast and Furious, and she eventually quit her job at CBS. October 4, 2018. Tags: Barack Obama, Brian Terry, Donald Trump, Eric Holder, Fast and Furious, Guns, Obama, Politics, Sharyl Attkisson, Violent crime. Barack Obama, Donald Trump, Guns, Violent crime. 1 comment. And please note that the trigger was never pulled. Just showing the gun was enough to scare the bad guy away. In the video, the guy is clearly pissed off that the woman had a gun. This is real female empowerment in action, and I can’t understand why anyone who calls themself a feminist would be against it. If anyone here opposes the use of a gun in this particular instance, then please offer an alternative (in the comment section) for what the innocent people should have done instead. And please keep in mind that during the several minutes it takes for the police to respond, this scumbag could have killed this innocent person. “I thank God the other waitress had a concealed carry weapon, has a permit… I shudder to think, had she not been there and had she not had this weapon, what this guy might have done,” Donovan told Fox 6. The suspect, who is a regular at the restaurant and reportedly had been cursing at his server throughout the night for taking too long with his order, came behind the counter and punched her in the face. Within seconds, the woman’s colleague pulled out a handgun from her waistband and pointed at him until he backed off. Although the suspect has not been arrested, Fox 6 reports that Milwaukee police know who they are looking for and that the man is allegedly a drug dealer. According to local media, the victim is back at work and she said the restaurant’s owner allows employees to carry a concealed weapon as long as they have a permit. July 9, 2018. Tags: Feminism, gun control, Gun rights, Guns, second amendment, Self defense, Sexism, Two ways to shield yourself from a violent attack, Women's rights. Guns, Sexism. 2 comments. Mark Keith Robinson is a law abiding citizen who lives in Greensboro, North Carolina. In front of his city council, he recently gave this four minute speech defending law abiding gun owners. This is one of the best arguments in favor of law abiding gun owners that I have ever heard. Please show this to everyone you know, and help make it go viral! April 7, 2018. Tags: 2nd amendment, Greensboro, Greensboro City Council, Greensboro N.C., Greensboro North Carolina, Guns, I'M THE MAJORITY!! !, Marikay Abuzuaiter, Mark Keith Robinson, Mark Robinson, Nancy B. Vaughan, North Carolina, second amendment, Self defense, Yvonne Johnson. Guns. 4 comments. April 4, 2018. Tags: antique guns, children and guns, gun collecting, Guns, guns in popular culture, guns on TV, Leave It to Beaver, Television, TV. Guns, Television. Leave a comment. School shootings are so rare and infrequent that it wouldn’t be good to just look at any one year, so I’m going to look at all the school shootings from January 1, 1999 (the year of the Columbine massacre, which is often cited as the beginning of the “modern” era of school shootings) and go up until March 20, 2018, which is the most recent school shooting (Great Mills, Maryland) on the chart. From January 1, 1999 until March 20, 2018 is a time period of 7019 days. During those 7019 days, a total of 286 people were killed in school shootings. That works out to 0.0408 people killed per day in school shootings. Meanwhile, according to the Insurance Institute of Highway Safety, texting and driving kills an average of 11 teenagers every day. This means that your texting and driving kills 269 times as many people as school shootings. March 25, 2018. Tags: Car accidents, Car crashes, distracted driving, Guns, Politics, school shootings, texting and driving, Violent crime. Guns, Violent crime. 1 comment. March 2, 2018. Tags: Florida, Guns, Nikolas Cruz, Parkland, school shootings, Stoneman Douglas High School. Guns. 1 comment. Nikolas Cruz is the scumbag who murdered 17 people at Stoneman Douglas High School earlier this month. The school is part of the Broward County school district in Florida. February 25, 2018. Tags: Affirmative action, Barack Obama, Broward County, Broward County school district, disparate impact, Florida, Guns, mortgage defaults, Nikolas Cruz, Obama, Parkland, Politics, Racism, school shootings, school to prison pipeline, Social justice warriors, Stoneman Douglas High School, Trayvon Martin. Barack Obama, Guns, Racism, Social justice warriors. Leave a comment. Despite the fact that bulletproof glass has saved the lives of Asian shopkeepers, Philadelphia councilwoman Cindy Bass has introduced a bill that would force them to remove it. The Asian shopkeepers claim the bill is racist. Bass says they are mistaken. I’d say the real “source of trouble” is the criminals who try to shoot and stab the employees of these stores. And banning bulletproof glass will make that problem bigger, not smaller. PHILADELPHIA (WTXF) – A controversial bill is currently working its way through city hall designed to regulate ‘stop and go’ liquor stores. One part of the bill would force business owners to take down bulletproof glass inside their stores. But at what cost to their safety? Broad Deli sits on the corner of the 2200 block of North Broad, inside a wall of bulletproof glass separates customers from workers. “The most important thing is safety and the public’s safety,” owner Rich Kim said. Rich Kim’s family has run the deli, which sells soda, snacks, meals and beer by the can for 20 years. He says the glass went up after a shooting and claims it saved his mother-in-law from a knife attack. Now, he may be forced to take some of the barrier down. It’s called the ‘Stop and Go’ bill and is being offered by city councilwoman Cindy Bass. “Right now, the plexiglass has to come down,” she said. She wants to put some controls on these small stores that she says sell booze, very little food and are the source of trouble in her district. Rich Kim resents the charge stores like his attract loiters and argues calls to police are often met with a slow response. Mike Choe runs a non-profit supporting Korean-owned businesses. He plans on raising $100,000 to fight the measure. “I do think it’s a bad bill that will endanger Korean Americans,’ he said. Bass says she’s battling for her constituents. Kim argues as a Korean-American he’s being targeted. November 28, 2017. Tags: Cindy Bass, Guns, Philadelphia, Racism, Violent crime. Guns, Racism, Violent crime. 8 comments. The murderer was sentenced to 30 years in prison, but his accomplices, Eric Holder and Barack Obama, haven’t even been arrested or charged. In September 2012, Obama falsely said that Fast and Furious had “begun under the previous administration.” In reality, Fast and Furious began in October 2009. In October 2013, the ACLU announced that it would be defending John Dodson’s first amendment right to free speech, against the Obama administration, which was trying to prevent Dodson from publishing a book about Obama’s “Fast and Furious” scandal. November 6, 2017. Tags: Barack Obama, Eric Holder, Guns, Obama, Operation Fast and Furious, Politics. Barack Obama, Guns. Leave a comment. The YouTube video below is an episode of the science TV program Through the Wormhole. This episode is called “Is Gun Crime a Virus?” It’s from season 8, and originally aired just a few months ago. Morgan Freeman is both the narrator and the executive producer. I listened to (but did not watch, as it’s rotated 90 degrees, and is also cropped) the entire video. October 4, 2017. Tags: Guns, Psychology, Violent crime. Guns, Psychology, Violent crime. Leave a comment. August 21, 2017. Tags: Donald Trump, Guns, Guns, Maria Chappelle-Nadal, Politics, Violent crime. Donald Trump, Guns, Violent crime. Leave a comment. Chicago’s city council currently has 49 Democrats and 1 Republican. The mayor is a Democrat. The city clerk is a Democrat. The city treasurer is a Democrat. The last time Chicago elected a Republican mayor was in the year 1927. During the recent fourth of July weekend in Chicago, 102 people were shot. 15 of those people were killed. We don’t see anything like this in any of the U.S. cities that are controlled by Republicans. July 7, 2017. Tags: Chicago, Guns, Politics, Violent crime. Guns, Violent crime. 1 comment. The fact that the first cover says “comics double digest” while the second one says “summer annual” does not mean that these are different titles. 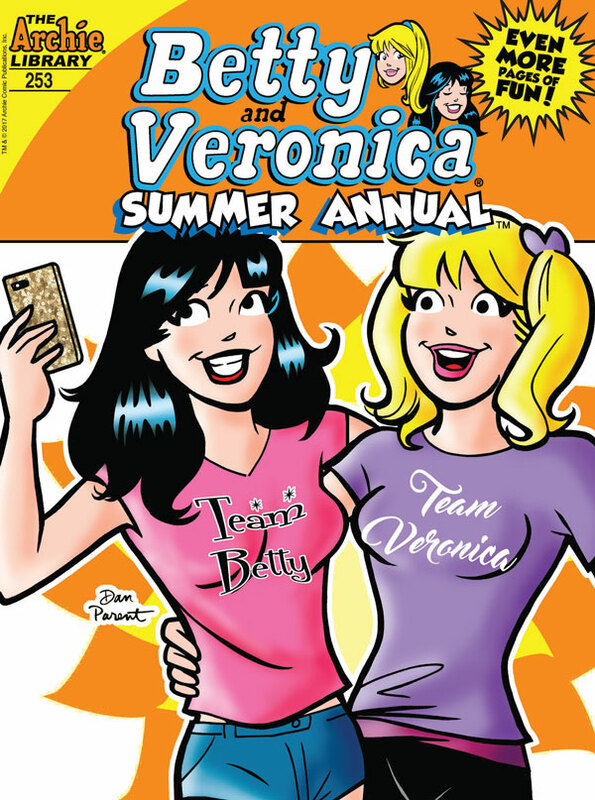 The official title is “Betty and Veronica Comics Double Digest.” The words “summer annual” simply indicate that this issue has a few dozen extra pages in it – it’s still the same title. So I’m not getting one title confused with another. Anyway, it’s sad that the powers that be canceled the release of the cover artwork with Betty Cooper holding a gun. May 15, 2017. 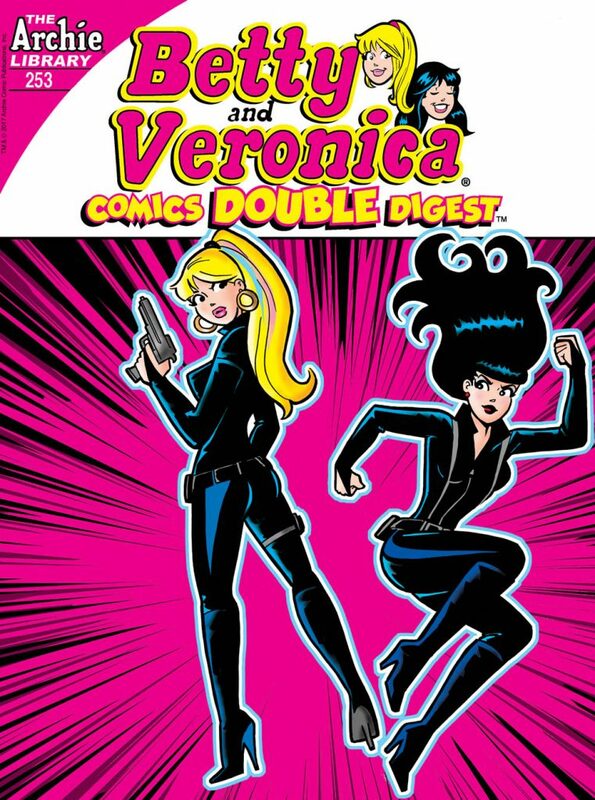 Tags: Archie comics, Art, betty and veronica, betty cooper, Comic books, Guns, Guns. Art and sculpture, Comic books, Guns. Leave a comment. March 8, 2017. Tags: Gun rights, Guns, Guns, Military, right to bear arms, second amendment, Videos, weapons. Guns, Military. Leave a comment. 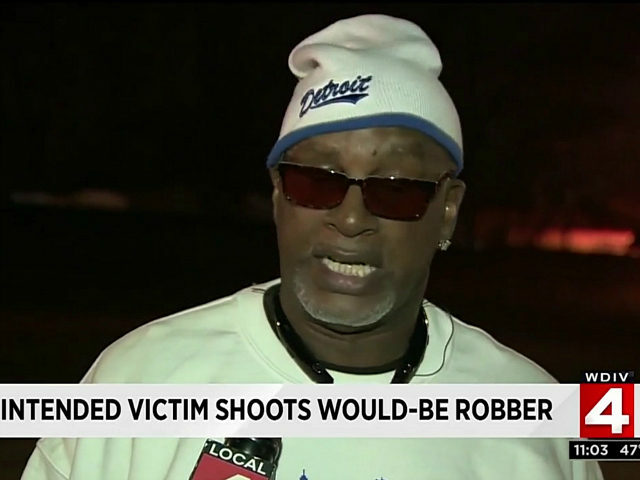 An armed citizen, who was in Detroit’s E&S Carry Out Shrimp Shack during an alleged robbery, says he threw his wallet on the floor, and when the robbery suspect looked away to retrieve it, the citizen shot him. The incident occurred around 5:45 p.m. on January 21. The suspect allegedly pointed his gun at Latanya’s face but was distracted by the wallets on the floor and looked away to pick them up. Dennis used the brief distraction as an opportunity to draw his own gun and shoot the suspect in the stomach. Dennis said, “When I saw he had the gun in her face, and I threw my wallet down and keys, he turned to look and get the money, that’s when I lit him up.” He then “kicked the robber’s gun away” and tended to the wounded suspect until first responders arrived. January 30, 2017. Tags: 2nd amendment, armed robbery, Concealed carry, Crime, Guns, Guns, News, Politics, second amendment, Self defense. Guns. Leave a comment. In other words, Barack Obama is a gun control hypocrite. May 30, 2016. Tags: Barack Obama, gun control hypocrisy, Guns, Guns, Obama. Barack Obama, Guns. 2 comments. March 27, 2016. Tags: Barack Obama, Bush, Fast and Furious, Georgw W. Bush, Guns, Guns, Mexico, Obama, Operation Fast and Furious, Operation Wide Receiver, Politics, Wide Receiver. Barack Obama, Guns, Politics. Leave a comment. A masked man burst into a 7-Eleven near Seattle early Sunday morning, swinging a hatchet and slicing the store clerk. Before the masked man could seriously hurt anyone, though, a customer who was drinking his morning coffee pulled out a concealed weapon and fatally shot the attacker. Authorities did not name the attacker or the customer, but they did hail the concealed weapon owner as a hero. The clerk, Kuldeep Singh, suffered minor cuts to his stomach. He, too, thanked the customer for saving his life. West said that the incident will be investigated fully but that the 60-year-old customer was currently being considered a Good Samaritan. March 15, 2016. Tags: Concealed carry, Gun rights, Guns, Guns, Self defense. Guns. Leave a comment.